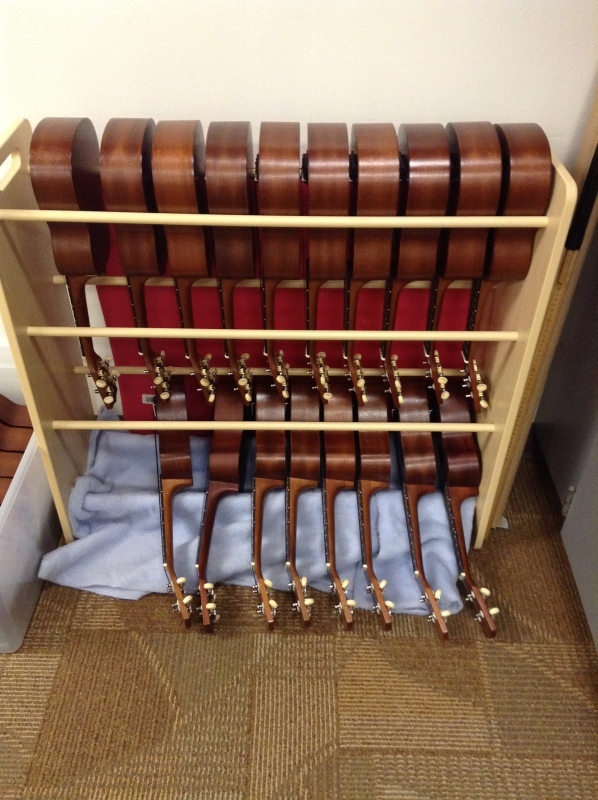 UPDATE: Here is my NEW way of storing my ukes. 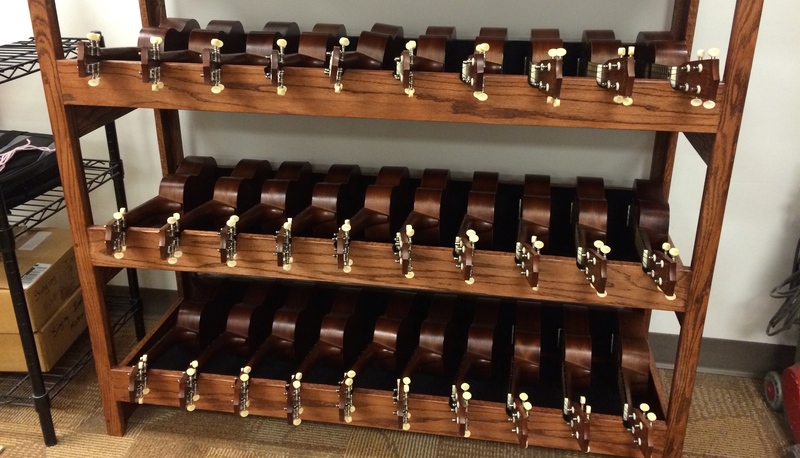 A wonderful retired music teacher and her husband built this amazing stand for 30 ukes. Here’s how I stored them when I was first getting started! the ukes. I don’t have room to hang them so this is working well for me. 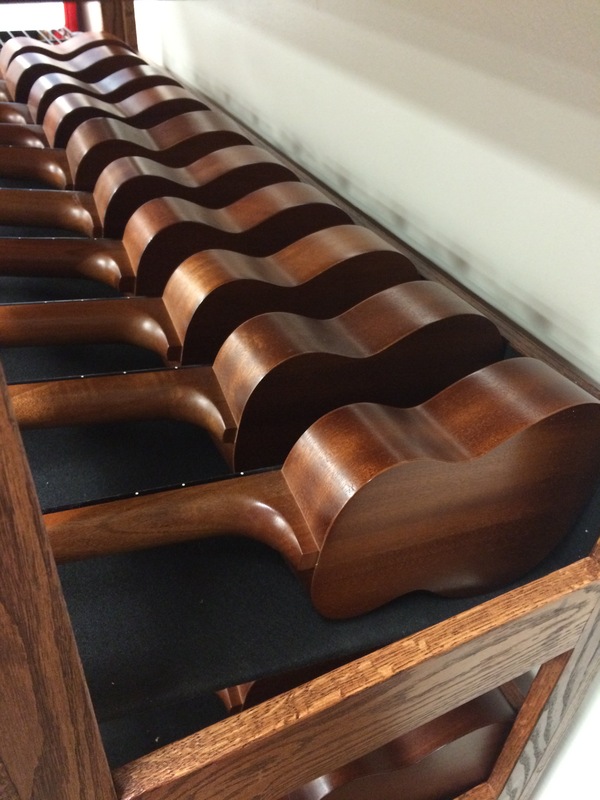 this job, with a quick tuning before handing the uke to a student! For those who have inquired about the constructed storage unit at the top, I contacted the builders and they have no plans, and as they told me, “We design as we go.” The best I can do is share some close-up pictures I took of the cart. This entry was posted on October 7, 2013 at 10:15 AM	and is filed under Stuff. You can follow any responses to this entry through the RSS 2.0 feed. You can leave a response, or trackback from your own site. Wow, what beautiful work. I’m glad you were able connect with the community to get you the Uke furnatrue. They look great! Does the person who made this for you have plans they would share/sell? Noreen, I don’t think they have anything shareable, in that they kind of rough-sketched it out, making sense to just them. 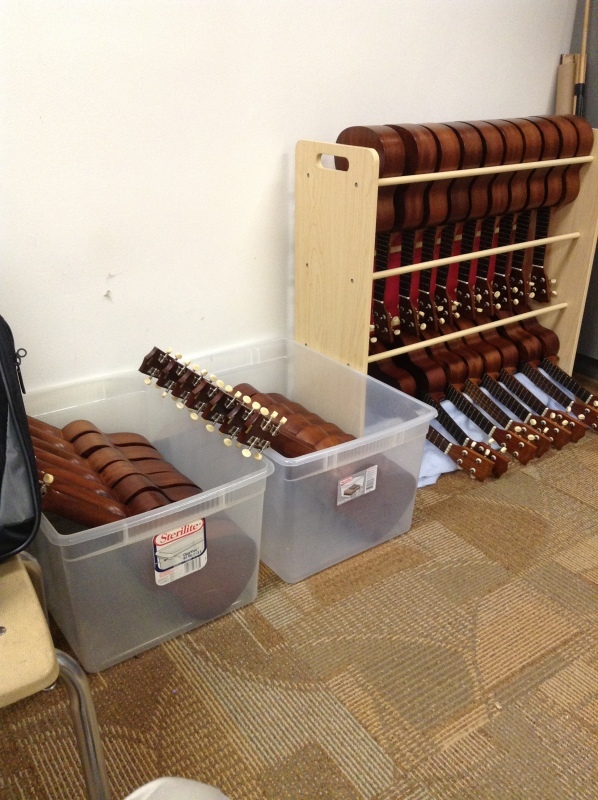 Hello – I was just looking to store 30 ukes, and came across this pic! 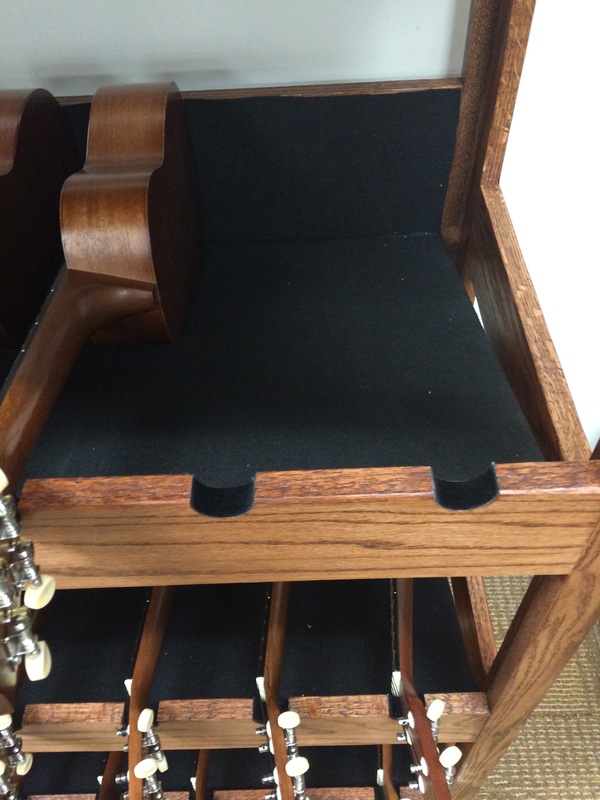 Love the top storage idea!!! I’ve put this idea out to my community, and now have someone willing to build it for me, as their community outreach! I am sooooo excited! Do you have the plans/dimensions for that cart? Jodi, they didn’t really make plans, but I can email them and see if they can come up with something for you! That would be lovely! Thank you! I would also Love if you could send me any information on making this. Thank you so much! !